Lee is resident lighting designer for New York-based Transport Group Theatre Company and has designed their off-Broadway productions of Queen of the Mist (Henry-Hewes Design Award nomination), Hello Again, See Rock City (Drama Desk Award Nomination for Outstanding Lighting Design), Being Audrey, Bury the Dead (Drama Desk Award Nomination for Outstanding Lighting Design) Marcy in the Galaxy, Crossing Brooklyn, Dark at the Top of the Stairs, All the Way Home, Cul-de-sac, Normal, The Audience (Drama Desk Award Nomination for Outstanding Lighting Design), First Lady Suite, Requiem for William, and Our Town. In 2007 Transport Group received a special Drama Desk Award for its breadth of vision and presentation of challenging productions and an Obie Award Grant for it’s continuing excellence in the New York theatre scene. Other lighting designs for Transport Group include: Down the Road (off-off Broadway); Violet, The Young Man from Atlanta, She Loves Me, and Carousel at the Barksdale Theatre in Richmond, Virginia; A Streetcar Named Desire (Special Recognition Winner USITT Design Expo 1998) for The Gretna Theatre in Pennsylvania; and The Illusion for The Nevada Theatre Company in Las Vegas. Lee’s designs for The Philadelphia Theatre Company include The Light in the Piazza (Barrymore Award for Outstanding Lighting Design) and The Outgoing Tide (Barrymore Award Nomination for Outstanding Lighting Design). Lee has designed for the Illinois Shakespeare Festival including productions of Winter’s Tale, Romeo and Juliet, The Comedy of Errors, A Midsummer Night’s Dream, Scapin, Pericles, Julius Caesar, Taming of the Shrew, Titus Andronicus, and The Complete Works of William Shakespeare (abridged). 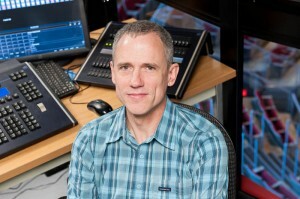 Lee’s Chicago area lighting design credits include: Pegasus Players’ The Secret Garden (Joseph Jefferson Citation for Lighting Design), Once on This Island (Joseph Jefferson Citation Recommended for Lighting Design), and Assassins (Joseph Jefferson Citation for Best Production); Piven Theatre’s revival of Mud starring Lili Taylor at Victory Gardens Theater; Marriott Lincolnshire Theatre’s Oklahoma! and The Sound of Music; as well as designs for Mary-Arrchie Theatre, Light Opera Works, and Parallax. Lee has designed lighting for national tours of The Secret Garden, Once on This Island, Five Guys Named Moe, and A Grand Night for Singing for Big League Theatricals, New York; and was associate lighting designer for the world premier musical Men are from Mars … Women are from Venus at the Flamingo Hotel and Casino in Las Vegas. Lee has also designed regularly for Heritage Theatre Festival at the University of Virginia and for The School of Theatre and Dance at James Madison University in Harrisonburg, Virginia. As assistant lighting designer Lee has worked at Ford’s Theatre in Washington D.C., The Lyric Opera of Chicago; Ballet Chicago; Networks Tours; Drury Lane Theatre in Oakbrook, Illinois; and was resident assistant at Marriott’s Lincolnshire Theatre for three years. From 1998-2002 Lee was resident lighting designer for Operafestival di Roma/Operestate in Rome, Italy where he has designed productions of The Magic Flute, The Barber of Seville, Don Giovanni, The Merry Widow, and Cosi fan tutte. Lee has a Master of Fine Arts in Stage Design from Northwestern University and is a member of United Scenic Artists Local 829.